Google Pixel is coming with may exiting features such as the advance Android Nougat operating system, powerful battery, strong processor and exceptional camera. People are keenly waiting for the phone and want to experience its outstanding functionality as soon as possible. However, its a fact that all delicate devices are hard to handle, especially when they are portable such as mobiles and tablets. We keep our smartphones with us all the time, so there is always a chance of drops and falls that leave the phone with unwanted scratches and spoil their look as well as the user’s mood. It is advisable to buy a suitable case with the phone to ensure its protection. 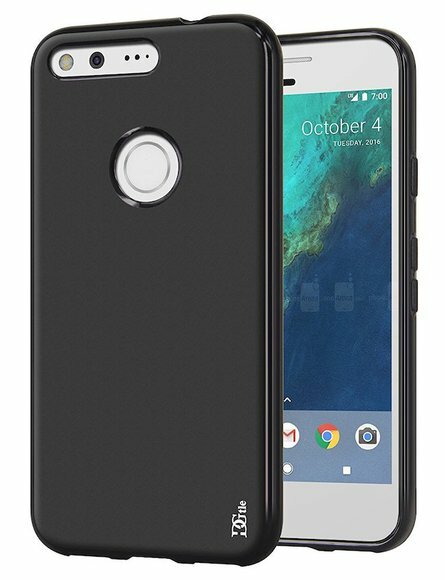 We even came up with an article listing best Google Pixel XL cases and covers that you should check out if you are planning to buy Google Pixel XL. Here in this article we have listed the best cases for Google Pixel, let’s have a look at all these best Google Pixel cases and tell us which one you like the most. The official Google Pixel case has a silicone exterior and polycarbonate core that is shock absorbent and provides good grip to protect your phone from scratches and bumps. The case is available in five different colour options to suit everyone’s personality. There are well placed cutouts that allow users to access all ports and features without removing the cover. 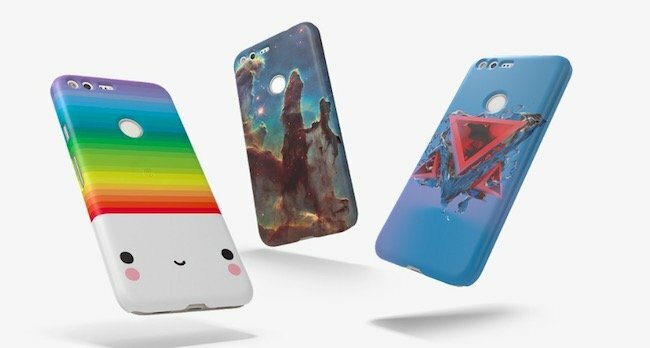 Google has presented three unique Live cases for the users of Google Pixel and the first one allows you to customize the case with the vast collection of craftwork which is designed by the popular global artists, illustrators, photographers and developers. These cases come with a companion wallpaper that features all the available designs and lets users to match the case with their screen. 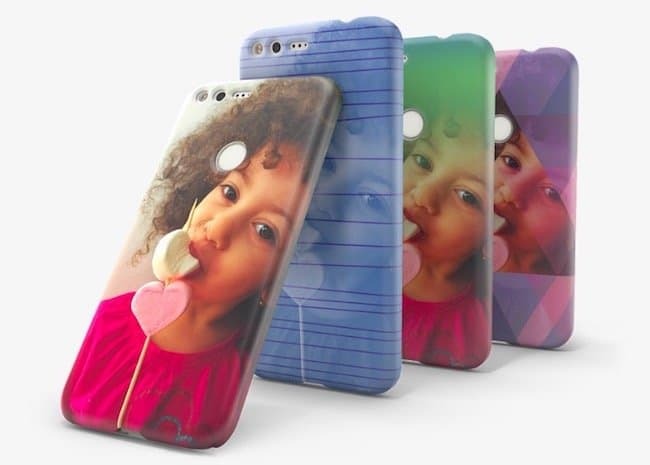 Alike the above mentioned case, Google allows users to customize live case with their own pictures. You can simply take a print of any favourite image and add it into your Google Pixel case. The Google Pixel Live cases offer a custom wallpaper that turns the screen into a slideshow of your pictures. You will also find a programmable short-button on the case for special photos. 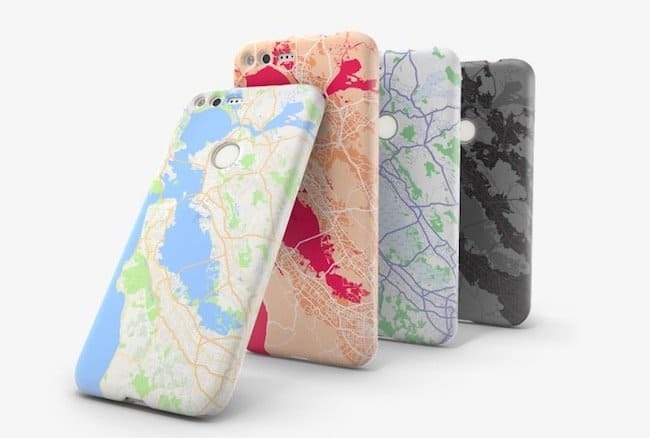 Google has come up with the Place cases for Google Pixel that allows users to take a picture of their favourite spot from the Google Map, decorate it with the colours or style of their choice and print them on the case. These cases are also made of durable polycarbonate and provides good protection but may not save your phone effectively in the case of sudden drop. 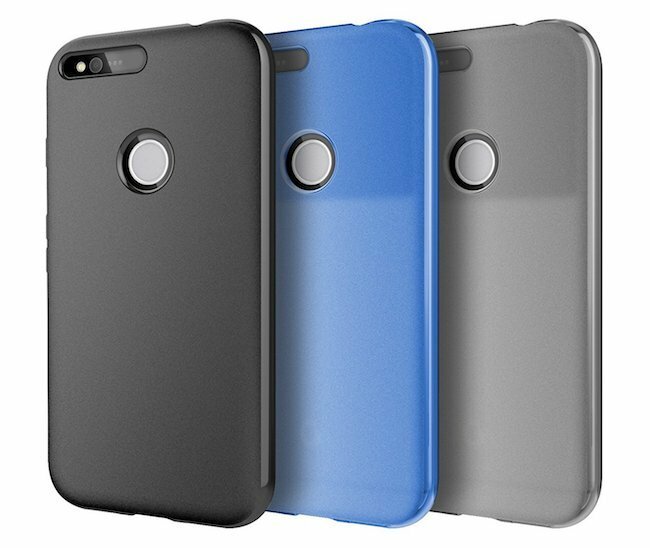 These cases are available for Google Pixel as well as Google Pixel XL. 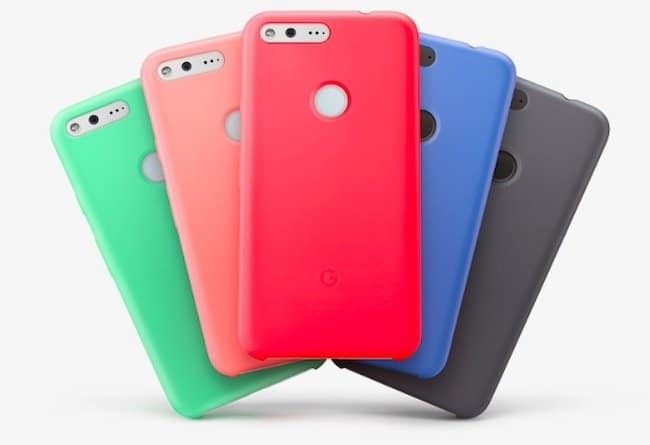 The three layered color Google Pixel cases provide three layer protection of the soft silicone on the exterior along with hard plastic code and include soft microfiber in the interior to keep the phone undamaged for a long time. The cases are coming soon and will be shipped in multiple colour options. A super stylish Google Pixel case from Cimo which is lightweight and made from durable polycarbonate material. The Cimo slim case has raised bezels which will prevent your Google Pixel phone screen if it is fallen from a height. It also features cutouts for full access of smart buttons and other important things. 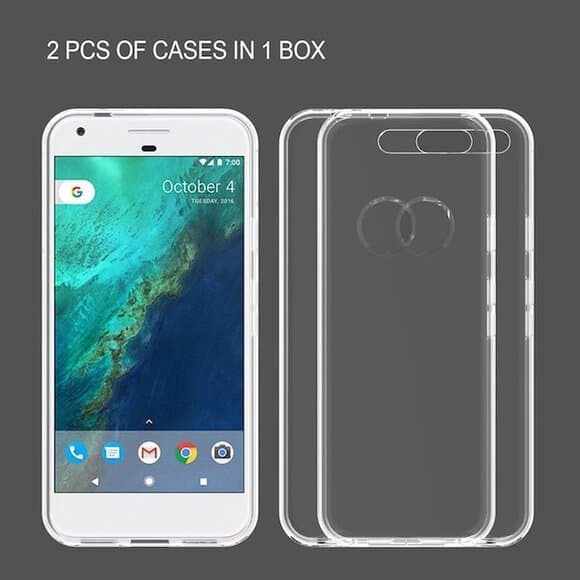 How about getting 2 pieces of Google Pixel cases in one price and that too only $5.99? Spain made a Google Pixel case of soft TPU material which is environmentally friendly, only 1.5mm thickness and transparent to reveal the Google pixel color. Flexible enough that comes with tough protection and don’t add any bulk to your phone. 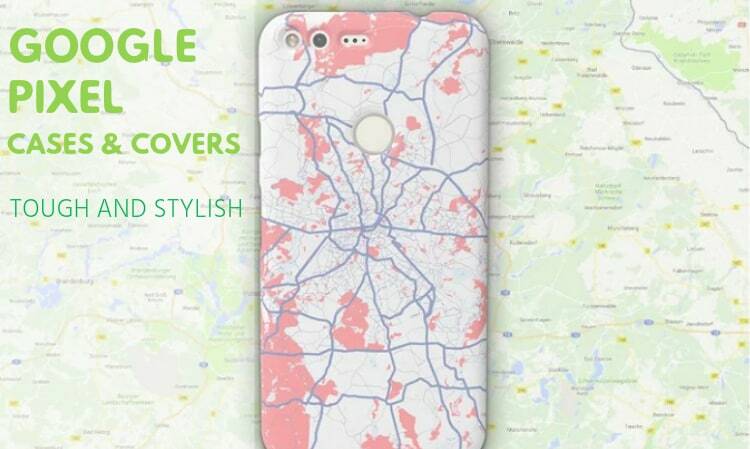 Looking for something stylish for your Google Pixel phone? Well, you are at the right place, check out one of the best stylish Google Pixel case from Incipio from their Carnaby Esquire series that is inspired by Google Daydream VR. It is made of sturdy hard shell and shock absorbing polymer material to protect your phone from accidental damages. Not only that, there is soft cotton finish that doesn’t slip out of your hands and add sophistication to your case. A modern design Google Pixel case from DGtle which is made of lightweight and flexible TPU material that looks slim, stylish and comes with all the cutouts to allow access to camera, speakers, headphone jack and other buttons. 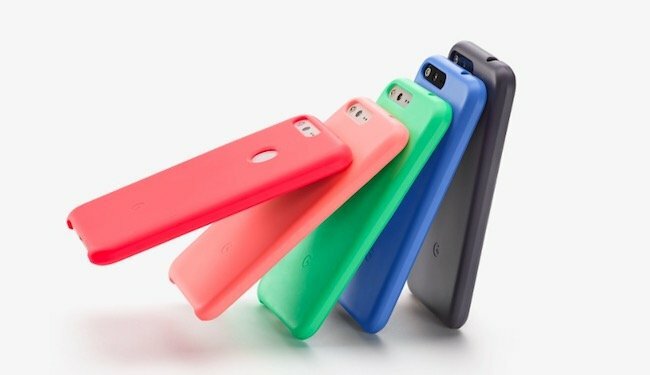 DGtle anti-scratch Google Pixel case is shock absorbing and comes in various colors to style up your Google Pixel phone. 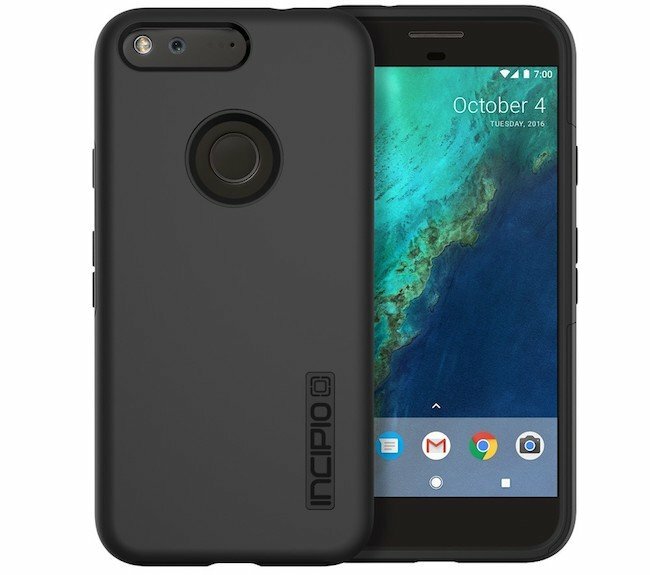 This Google Pixel case from Incipio DualPro protect your phone from inside as well as inside. The inner shell is made from soft silicone while the outer shell is of Plextonium material that gives military grade drop protection. Even having military grade drop protection, the case has soft touch which feels nice in your hand. One of the best clear case for Google Pixel is coming from Speck Products that has ultra-slim design and adds beauty to the phone. Presidio Clear Google Pixel case is made of hard exterior layer that saves your phone from scratching and the interior layer absorbs the shock if it drops ever. Not only that, it is tested by dropping from 8 feet multiple times so you can expect a good protection of your Google Pixel XL Case. Another Google Pixel case from Incipio that is providing protection of your phone from accidental falls or bumps. 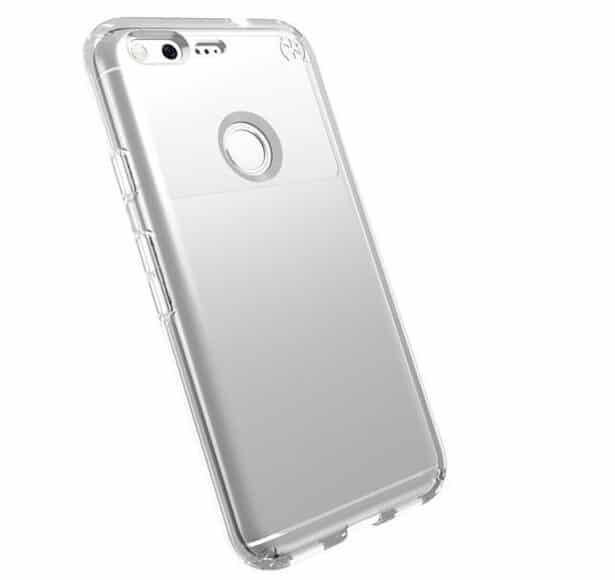 The case is made of Plextonium polycarbonate back shell and bumber is from Flex2O TPU tempered material for overall protection of your Google Pixel XL. The case comes in 4 colors and gives a premium look to your phone. If these best Google Pixel cases allow you to show your creativity or showcase the beauty of the phone along with the safety then its like a win-win situation of every user. Hopefully the list of these awesome Google Pixel cases we have provided will help you to find out the best case for your phone. Feel free to share your experience with the above mentioned Google Pixel cases and also do not hesitate to give your valuable feedback.